Treat your hands to the New Dial Sugar Cane Husk Scrub hand soap + Giveaway! 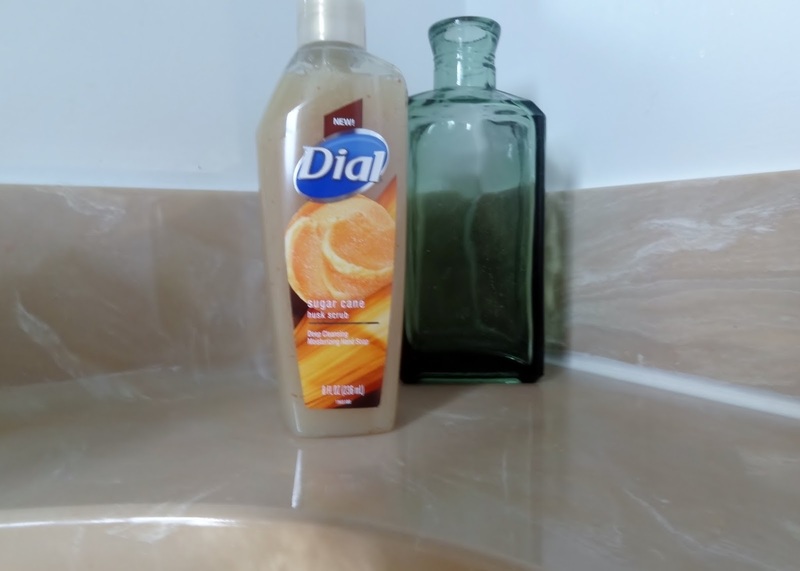 The Dial brand provided me with a sample of Dial Sugar Cane Husk Scrub in exchange for a product review and giveaway. However, all opinions expressed here are my own. My family and I believe in the importance of washing our hands as often as needed, but sometimes our hands become dry and chapped from all that washing. Applying lotion can help, but if you want your hands to be really soft and smooth again, you have to exfoliate the dead skin off. Dial must have had this in mind when they made their newest member of their Boutique collection of hand soaps; Sugar Cane Husk Scrub. Made with gentle micro-scrubbers, Dial Sugar Cane Husk Scrub takes care of dry skin and leaves you with soft and lightly sweet scented hands. You’ll find yourself marveling at just how soft and smooth your hands feel after using this soap just once. Because it has moisturizers and skin conditioners, you can skip applying lotion after every hand wash too! My daughter loves using this soap! If you’ve got kids at home that may not wash their hands as long- or as often as you’d like; try switching your regular soap with Dial Sugar Cane Husk Scrub hand soap! They will like how easy it is to get their hands clean with Dials conditioning soap. 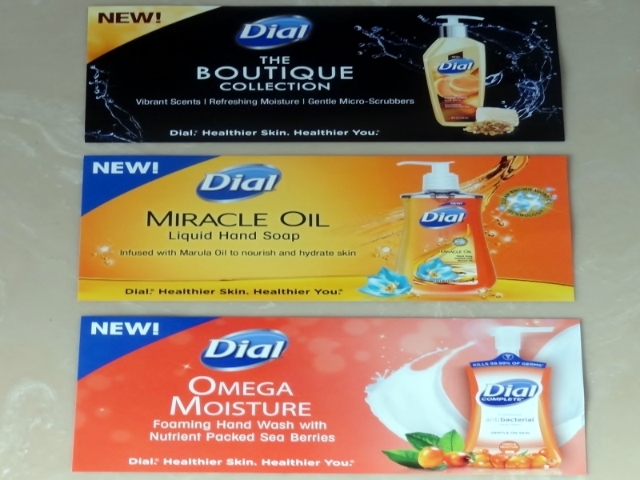 Add a personal touch of style to your home by trying one of Dial’s new Boutique Collection hand soaps. You can learn more about this collection and other Dial products by visiting their website here. Thanks to the generosity of Dial, one lucky reader will receive 3 coupons for Free Dial products with a maximum retail value of $4.00 each! Entering is easy using the Raffle copter form below. No purchase necessary to win. Open to U.S. residents 18+ years. My WAHM Plan will mail coupons to winner. This contest is not associated with or endorsed by Facebook, Twitter, Pinterest, Instagram or any other social channel. If I won, I'd use the Sugar Cane Husk Scrub soap in my kitchen. Ha! My daughter will thank you! I used this soap after gardening for a little bit without gloves and it did a great job on the dirt, so you'll love it for off roading adventures. I need to get another bottle for the kitchen myself. I would definitely leave this in my bathroom and get another one for my kitchen. I wash my hands frequently and I do not have a dishwasher!! Thanks for hosting the giveaway, haven't had the chance to try this yet. This would go in the guest bathroom. I love the feel and scent of this soap!! It is amazing. If I won, it would be going in my personal bathroom....until my sweetie eventually swipes it. I would use this soap in the bathroom. If I had one bottle, I'd keep it in my kitchen. Dial soap looks like its creamy and rich and smells great. I wash my hands a lot during the day so my skin is dry. this would be good to get the dry skin off and add some moisture at the same time. I would love a hand soap that leaves my hands feeling soft and conditioned. This sounds great! I'd use it in my bathroom. I've run out. How cool. I love Dial and I love sugar scrub soap. My son would love this! I did not know about that scent! This would be perfect after working in the yard all day! My husband and I used to own an older home that had no place to put a dishwasher, so I know your struggle with your hands being in that hot water daily. I think you'll really like how soft this soap leaves your hands. Thanks for entering. I need to pick up a couple more for my bathrooms too. Yay! so glad you've tried it and love it too. I think my girls are washing their hands just so they can smell like this soap! Soap swiping occurs here as well, along with shampoo "borrowing"! Perfect! Thanks for entering and good luck. I want to get a bottle for my kitchen too. This soap is perfect for us frequent hand washers. Thanks for stopping by and entering! Dial did a fantastic job of making this soap clean gently and moisturize without leaving your hands greasy. I hope you get to try it soon. Thanks for stopping by and entering. I think every bathroom deserves this soap. So glad I could introduce you to it then. I have used it after working in the yard and its a dream soap for gardeners! Good luck with getting your girls not to squirt out too much! The struggle is real here as well. I'm forever wiping extra soap off our counters. I have to get some of these new Dial Sugar Cane Husk Scrub hand soap because it sounds amazing. My hands always get so dry in the winter. Thanks for sharing.